Tefillah has always been an essential part of our chanichim’s day on camp and we are always looking for new ways to engage and excite our chanichim. This new siddur from Koren has been designed specifically for youth movements. We’ve seen some sample pages from the siddur and we were both very impressed with the quality, erudition and accessibility of the new commentary and translation. We would really love to provide our chanichim with the opportunity to explore their tefillot through this new siddur. We have therefore started a sponsorship campaign and we hope that Sinai chanichim will use these siddurim for years to come. Special messages, best wishes or memories from your time on camps – any message is welcome! Divided into different categories that enable the user to connect to Tefillah in different ways, the commentary provides a variety of approaches to each tefilla, and something meaningful for everyone this summer. Kriat HaTorah and Haftarot for Parashot Korach – Ki Tavo. Halakha guide covering summer months, and Hilkhot Tefilla for weekday and Shabbat. Translation by Rabbi Lord Jonathan Sacks and commentary by Rabbi Dr. Jay Goldmintz. 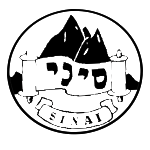 Submit your messages and leave your mark on how Sinai chanichim interact with Tefillah throughout the coming years.